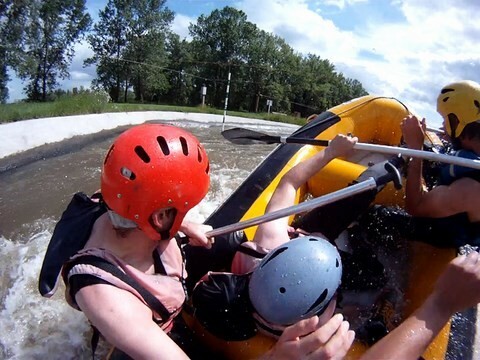 Rafting, kayaking, open water swimming, lively, tubing, Vichy adventure offers various types of sport of whitewater, for all levels and safely (adults, children and teens). Immerse immediately in the happiness of the slides. 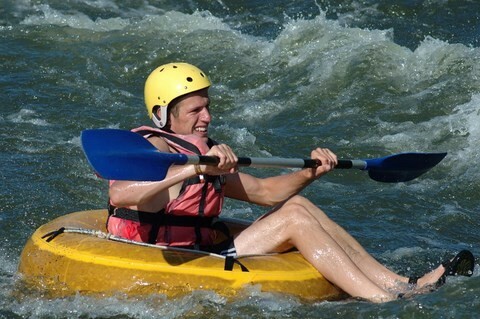 Whitewater sports, funny, sure, the sensations are guaranteed. 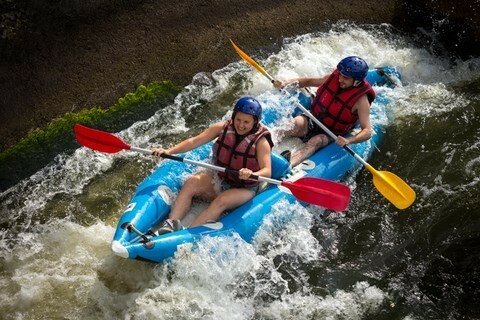 Vichy adventure makes you discover this activity on the artificial Vichy River, this long pool of 420 m is ideal for the practice of the sports of whitewater safely. At least 4 people, maximum 6 in the raft and it is left for 2 hours of activity. You are alone in the raft with a monitor that ensures your safety throughout the course. Small inflatable canoe ideal for down power to 2. How long to make the activity? Provide 2 hours of activity. We will make a single descent? The number of rafting is not limited. How the boat back each time? A plateau vehicle loads up your boat. Need to know how to swim?